Countryside is an quiet place to enjoy the wildlife, as well as the peace and tranquility of nature. 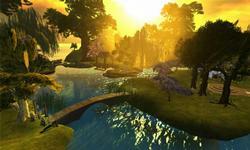 Escape your real life stresses and relax in this beautiful retreat, which is dedicated to Second Life photographers. Explore the romantic fairy-tale garden of StoryBrooke. Enjoy the peace and tranquility of this beautiful setting. There's lots to do in Snuggles Forest. Enjoy a beautiful stroll and explore the many beautiful areas. Walk along the beaches and hold your sweetheart close, cuddle, dance or just sit in one of many romantic spots. You can also ride a boat, propose, or even get married in the chapel. 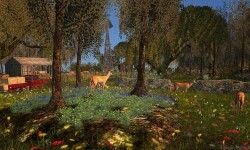 The fantasy forest is a peaceful place for both singles and couples in Second Life. 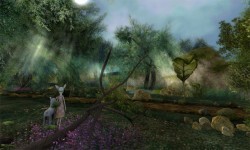 The forest includes rivers, a waterfall, even a rain-kissed elven grove. There are many places to sit and read or explore in this beautiful venue. For more information, be sure to visit http://twomoonparadise.wordpress.com/. 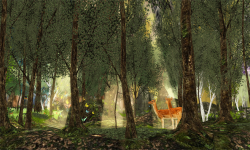 This popular Armenelos returns to Second Life, reborn as a engaging woodland region in the vast Calas Galadhon Park estate. With all the pristine woodlands, coastal wildlife, and steep cliffs, one can't help but feel inspired to explore. Or visit the Dolphin Café with 24/7 live music and dancing. The Retreat is a beautiful hang-out with a lush garden, chateau and Club Melatonin. Enjoy, take pictures and bring friends to this wonderful place. Romantica is a picturesque place that features a proposal stand where you can ask that important question to your loved one. There's also a wedding venue that overlooks the sea. The spectacular Bellefleurs has been the seat of the Duchesses of Ominum since the 1590s. Built in the High English Renaissance style, it offers a Salon Music series, opera, dances, En Garde, and other events. A history of the house and family are provided on the sim. 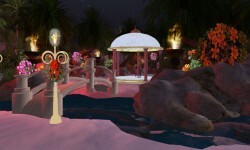 The Garden of Whimsy has been created to offer all Second Life residents a place to wander, contemplate, take pictures or share a quiet moment with that special someone. Different garden areas include: Gypsy Travellers, Steampunk Lake, Dragons' Nest, Butterfly Meadow, Cottage Country, and the Dark Crystal Forest. Runestone is a special place to relax and enjoy the sights and sounds of nature. Dance, meditate, or cuddle with a loved-one, visit the quaint cottages, or explore the garden with its waterfalls, rope-swings, and hidden pirate's cave.